Dame Agatha Christie was an English crime writer of novels, short stories and plays. She also wrote romances under the name Mary Westmacott, but is best remembered for her 80 detective novels and her successful West End theatre plays. 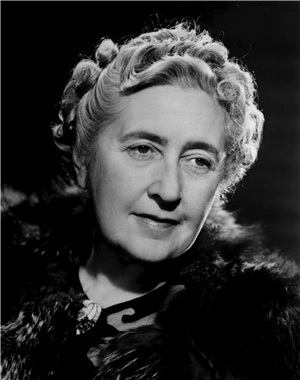 Her works, particularly those featuring detectives Hercule Poirot and Miss Jane Marple, have given her the title the 'Queen of Crime' and made her one of the most important and innovative writers in the development of the genre. Christie has been referred to by the Guinness Book of World Records as the best-selling writer of books of all time and the best-selling writer of any kind, along with William Shakespeare. Only the Bible is known to have outsold her collected sales of roughly four billion copies of novels. UNESCO states that she is currently the most translated individual author in the world with only the collective corporate works of Walt Disney Productions surpassing her. Christie's books have been translated into at least 103 languages.